“What a wonderful, gripping book,” she said. “Oh, but you must. It’s wonderful.” Her enthusiasm was all over her face. “Why is it so wonderful?” I asked. “What’s it about?” she asked. “Oh, no. I won’t read anything like that,” she said with a shudder. “Why not?” I could not resist asking. That conversation set me to thinking. People, myself included, sometimes read a fictional work because it is “so real,” but we know it’s really not “real.” I love to read fantasy, magic realism, contra-factual histories, science fiction, fairy tales, and more. I love the imagination so many authors bring to their subjects: their vivid creation of these alternate realities becomes as real as this world’s. Those who bring this off are praiseworthy in great measure just because their works are so real. Reading them gives me another way of seeing, not only the world they create for my pleasure, but the world in which I really exist. Escaping reality is fun in itself, and can be cathartic when we return to our real world. I am sure Larssen’s works do this, too. Still, I am an historian, devoted to telling, to the best of my ability, what “really” happened. But no human being can tell what really happened. The past is too intricate, too tightly knotted. Evidence is either missing, or so vast that no one can comprehend it all. Instead, historians must be content to tell stories about the past—hoping, of course, that what they tell is as true as they can make it. In other words, history is not what happened, but what historians say happened. It’s not supposed to be fiction, of course. A good historian cannot violate what is known to be a fact. But the story about those facts—seeing a pattern among them, saying one or another caused a subsequent fact, emphasizing some and leaving others out—that’s what makes an historian like a novelist. Both are eager to tell their stories. Good history and good fiction overlap. So why is my telling of a story, as true as I can make it historically, but organized around fictional characters making choices within fictional plot, not as appealing to some readers as a story that is praiseworthy because it is so “real” but wasn’t real at all? In graduate school, I had a history professor who said, often many times during the course of a lecture, “What you must realize is…” He meant, of course, “what you must make real” in studying history, what we needed to do to leap into the era he was describing and actually see it, smell it, feel it, fully sense the reality of it. Larssen apparently does that with brilliance in his novels. Violence, pain, anguish, revenge and whatever else the reader encounters in his work is as believable as it needs to be, in order for a willing reader to actually sense reality. That’s exactly what I wanted to achieve in Shadows Walking—both as an historian and as a novelist. The violence in Stieg Larssen’s novels did not happen, but he succeeds in making his readers think that it did. Just because this violence appears to be real, but is not, he offers us an escape from a reality that is all too real. Fine enough. As I say, I know how satisfying it is to enjoy fantasies, to escape reality. And I know, my novel is not enjoyable in this sense. In another sense, though, I do hope it is worthwhile. The painful events in Shadows Walking—the larger events, in which my characters are enmeshed—are true. Telling them, making them as real as I can, is important to me. I believe that we must attempt to “realize” in our minds what it actually meant to suffer the horrors of the Nazi era, and not just from the perspective of its victims. If we can, we should also try to “make real” why the perpetrators did what they did. After all, those perpetrators were human beings. Some, like Hitler, Himmler, Eichmann, Mengele and too many more, were motivated by grotesque brutality and indifference to their victims. Others, like Johann Brenner, my protagonist in Shadows Walking, made choices that brought them to the edge of a slippery slope. They were human beings of “good will” and the best intentions, “normal” (whatever that means) and very much like you and me, ultimately doing great harm to other human beings also very much like you and me, for reasons that at the time seemed compelling, but with hindsight, we know, were indefensible. 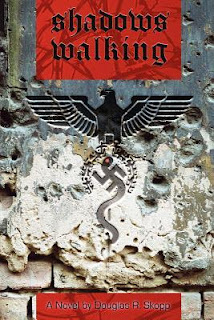 My novel describes how Johann Brenner made his choices and became a Nazi doctor. In learning about him, I believe we can learn about ourselves. Doing so, we might, we just might be able to stop ourselves from future genocides. At the very least, I hope, we will find more reasons to be compassionate and merciful toward one another. This is the reality—the overlapping of fiction and historical fact—that I seek, and the purpose I had in writing Shadows Walking. Douglas R. Skopp is the author of Shadows Walking. You can read Kelly (Kailana's) review of the book here. Douglas does stop by and answer comments, so feel free to communicate with him here. You got me thinking really hard. Excellent post! Often the things we think are imagined are based on real life anyway, otherwise they would seem too unlikely. Great post. I hadn't heard of this book before but I'm intrigued enough to want to try to find it. 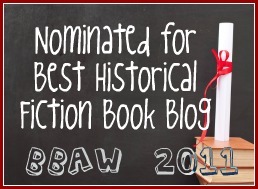 :) My favorite genre is historical fiction and I enjoy all well written stories...even if the topic is hard to read or "too real." This post offers a lot of food for thought. I personally will read both complete fiction and books based on true events, but I know lots of people that won't. Great post! bothersome to tell the reality then again I'll surely come back again.